Unwind at the most luxurious villas on the tranquil island paradise of Cozumel. Fresh and elegant oceanfront and beachfront villas with unmatched service and amenities for you and your family & friends. Our Cozumel villas truly are…"a touch above". 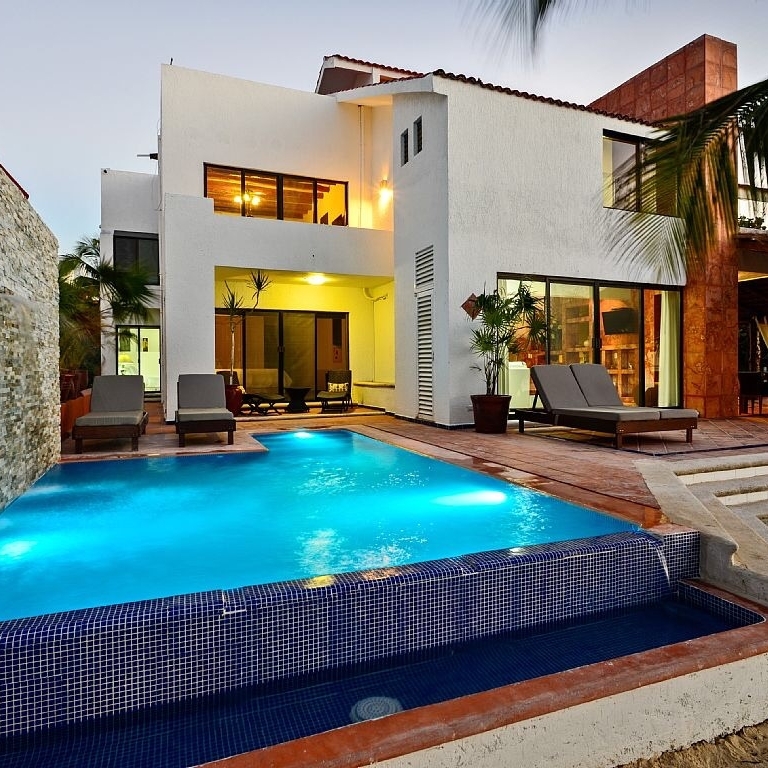 It's difficult to imagine villas that could blend in with the beauty that is Cozumel, but ours certainly come close. With fantastic amenities, and locations directly on the beach, our villas are the finest on the island. Not only is Cozumel beautiful, it's an incredibly safe place to vacation for you and your family; in fact, Cozumel is safer than most cities in the United States! As you can see, Cozumel is one of the safest cities in Mexico - in fact; safer than many major US cities!